Day 19 – Chocolate Souffle from Roy’s. On Day 19 I went out to dinner at Roy’s Restaurant in Naples, FL with my parents. 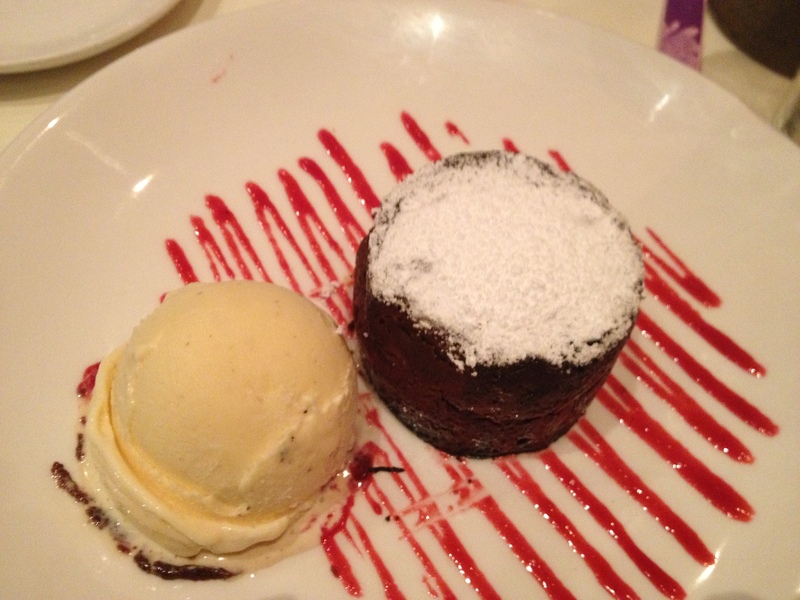 If you’re a chocaholic like me, then you should definitely consider ordering the Chocolate Souffle for dessert. It’s advised you should order this dessert with your entree because it take 20 minutes to prepare in the kitchen. Oink. Day 18 – Pretty Floridian Bush. Day 20 – A little light reading.